Transportation today is dominated by fossil fuels, making it a strong contributor to climate change. In order to continue transportation at current levels, something must be done to decarbonize movement of people and goods. Transportation is the cornerstone of modern society. People are not always where they need to be. Goods are commonly produced where it is cheapest to produce them, not where they are most needed. Evidently, people and things need to go places for society to work. Transportation today is dominated by fossil fuels, making it a strong contributor to climate change. In order to continue transportation at current levels, something must be done to decarbonize movement of people and goods. Many exciting possibilities for carbon-neutral fuels exist, ranging from hydrogen fuel cells and synthetic fuels to electric cars charged using clean energy sources. Both personal and commercial transportation represent fundamental needs of the modern world. According to the American Automobile Association, the average American drives 17,600 minutes per year, reaching around 10,000 miles annually. Whether going to work, visiting family over the holidays, or taking a cross-country road trip with friends, personal transportation is an essential facet of modern life. Personal travel barely scratches the surface of transportation. The more than 7 billion people living on the planet consume food, use tools, and drive vehicles produced around the globe, requiring shipment of raw materials and parts before products can be assembled and themselves transported. In the increasingly interconnected world, transportation will become ever-more important. The benefits of and need for transportation are readily apparent. Unfortunately, transportation is also almost entirely powered by fossil fuels. The United States Energy Information Administration reports that 95 percent of all transportation energy is derived from fossil fuels, primarily petroleum. A growing trend in the vehicle market today is the use of electric vehicles (EVs), which have gone up in number four-fold since 2013. The 2 million EVs on the road make up approximately one-sixth of one percent of all vehicles in the world, making their impact negligible. A transition to electric vehicles without transitioning electricity generation sources would decrease overall emissions by only about 8 percent . While this decrease is significant, it is not enough to fight the threat of climate change. There is another option: advanced nuclear technology and synthetic fuels. With transportation being so essential to modern living, some method of drastic decarbonization must be implemented. Two such methods are relatively prominent: hydrogen fuel cells, and synthetic methanol fuels using carbon capture technology. Hydrogen fuel cells can be powered with hydrogen generated through high temperature steam electrolysis, requiring temperatures around 850 Celsius (Bragg-sitton et al.). These temperatures can be provided without carbon emissions through the use of molten sat or high-temperature gas reactors. The other primary clean fuel is methanol produced with carbon capture technology. The chemical properties of methanol make it suited for use in an internal combustion engine with little to no modification (Olah et al.). Methanol production requires temperatures of at least 260 degrees Celsius (Olah et al. ), and nuclear reactors can be used to provide heat for the process in a carbon-free, reliable manner. In the increasingly interconnected world, transportation emissions must be addressed when considering climate change solutions. Use of hydrogen fuel cells and carbon-neutral synthetic fuels like methanol-based ones provide a solution enabling continued growth in transportation while eliminating emissions caused by such a key aspect of a modern standard of living, and production of these clean fuels is made possible by harnessing the power of the atom. Bragg-sitton, Shannon M., et al. Nuclear-Renewable Hybrid Energy Systems : 2016 Technology Development Program Plan Idaho National Laboratory. no. March, 2016, doi:10.2172/1333006. International Energy Agency. “Global EV Outlook 2017: Two Million and Counting.” IEA Publications, 2017, pp. 1–71, doi:10.1787/9789264278882-en. Johnson, Tamra. Americans Spend an Average of 17,600 Minutes Driving Each Year. 2016, pp. 2014–15, http://newsroom.aaa.com/2016/09/americans-spend-average-17600-minutes-driving-year/. Olah, George A., et al. “Chemical Recycling of Carbon Dioxide to Methanol and Dimethyl Ether : From Greenhouse Gas to Renewable , Environmentally Carbon Neutral Fuels and Synthetic Hydrocarbons Chemical Recycling of Carbon Dioxide to Methanol and Dimethyl Ether : From Greenhouse.” Journal of Organic Chemistry, vol. 74, no. 2, 2009, 2009, pp. 487–98, doi:10.1021/jo801260f. The Statistics. Number of Vehicles on the Road. 2018, pp. 2015–18, https://www.statista.com/statistics/281134/number-of-vehicles-in-use-worldwide/. Transportation Sector Energy Consumption. Vol. 96, no. 10, United States Energy Information Administration, 2016. 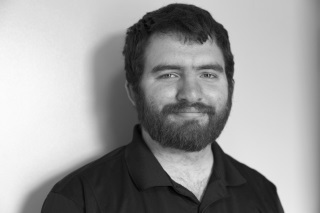 About the Author: Robby Kile is a nuclear engineering student and research fellow at Generation Atomic whose interests lie in advanced reactor design, especially the non-power uses of reactors. Robby is a strong proponent of nuclear energy as a tool for fighting climate change and energy poverty around the world. Advanced reactors may help save the world.